For anyone suffering from a disorder or an illness finding a suitable treatment, whether it is to lessen the problem, or hopefully cure it, is one of the most important factors surrounding the obstacle. This is an area of expanding business. Manufacturers are very much aware of the market available for products that can help cure a problem, especially those that can be achieved naturally without professional intervention. These types of products include self-help techniques that can involve the use of relaxation methods, raising self confidence, lowering anxiety and discovering new ways of viewing or perceiving the problem and its associated issues. (As this area involves the purchase of bought materials, this is the focus of this section). Another type of intervention that is used to treat or cure a phobia is with the use of a psychotherapist. These therapists use approved theories applied to the unique assessment plan of the person, and, using a variety of methods, will seek to discover, address and alter the behaviours and attitudes towards the phobia with the aim of lessening its importance and lowering the intensity of anxiety experienced. Psychotherapists may use one or a combination of different types of psychotherapy such as cognitive, cognitive behavioural or behavioural therapies. General counsellors can also prove to be beneficial when wanting to find a cure for a phobia. Counsellors aim for the same results as many of the self-help techniques but can be very useful for helping to implement the exercises and tasks required and can act as a very strong support mechanism, ensuring that the person has assistance and encouragement when needed. Counselling can take place on a one-to-one basis or within a group; often parts of the therapy are achieved independently whilst other areas are best explored in a group setting. The market for self-help technique cure products is remarkable; more so since the advent of the internet making research and access to these products extremely easy. Many professional therapists, doctors and counsellors have developed their own brands and types of products that are based on well proven methods. Commonly, these items are DVD’s, CD’s, books, literature or sometimes even tablets. All of these sorts of products should be approached with care and the background of the person or company endorsing the product should be well researched in order to discover the legitimacy of the methodology behind the development of the product. Virtually anyone can release and market a product that has no proven benefits, and in some cases, may even be detrimental to health. Always be aware of products advertised in newspapers and magazines that aim to ‘guarantee results in minutes’ or those that charge expensive fees paid on a monthly basis. Always research the company and find out the actual success rates before ordering the product. When possible try a product that has been successful for someone who has personally used the product and can vouch for its safety and legitimacy. 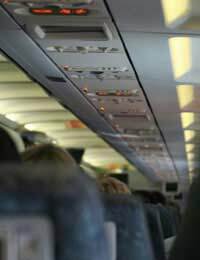 One of the most reliable areas for seeking a product for curing aerophobia is through airlines. Many of the biggest and most reputable airlines run courses at very reasonable rates, that use a variety of methods for overcoming this type of phobia. There are many products available that claim to cure a phobia, the user should always remember to research the product and its success rates before making any purchase, and where possible, try to find a product that has been positively recommended by somebody who has been successfully ‘cured’ by the product.